Home > Dental Claims > Denial isn’t the end! 17 May Denial isn’t the end! 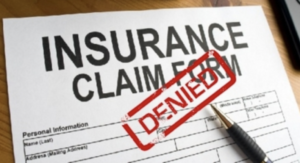 What can we tell Mrs. Johnson when the insurance sends a letter of denial for her dental claim? This is a prickly situation to be sure! We always want to convey a message of confidence: that we have seen this before, and we can advise her on the best course of action. Oftentimes, the issue is missing information, such as an xray or periodontal charting that is needed for the insurance reviewer to make a coverage decision. Once it is submitted, the claim can be reviewed and the coverage determination will be made. Is there something very specific to the coverage/ plan that she or her employer chose? Even in these cases, an appeal can be successful if there is sufficient evidence (including xrays, narrative, any medical conditions that worsen the prognosis for a lesser suggested treatment) and effort on the part of the patient to make a good case for an exception. Ultimately, the insurance has to answer to their customer–the patient. Education is always a good thing! Maybe they don’t understand why the treatment was done, or the technology behind the technique or materials that were used? Call the insurance and ask for a Supervisor who can explain their decision on your patient’s claim. The more the insurance sees a particular type of claim coming in, the more familiar they become, and their policies will start to reflect that more clearly. Remember to think of a denial as not a WALL but a HURDLE that you can learn to get over with practice!